Vegans, rejoice: wagagmamas has a fully vegan (permanent) menu | SHEmazing! Veganuary took off in an unprecedented manner as we entered 2019, but ethical, conspicuous eating isn't just for the new year – as many pledge to maintain their new plant-based eating after the challenge of eating vegan for the first month of the year ends. Luckily, our fave restaurants are keeping tabs on the changing taste buds of the nation. 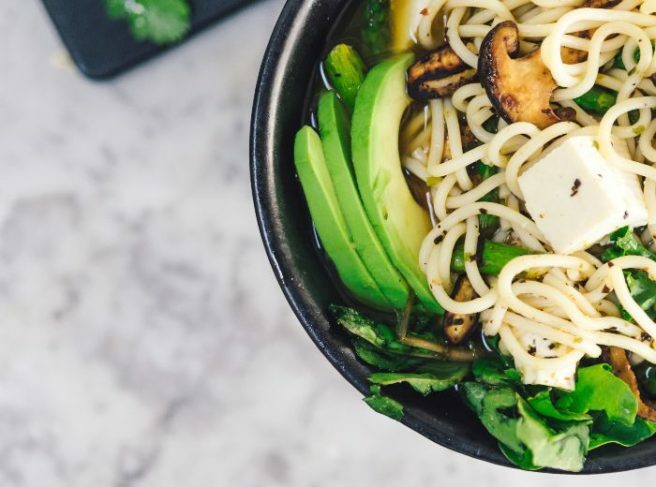 Today, wagamama Ireland is introducing a fully stacked 100% vegan menu – and we're drooling slightly just thinking about it. The menu offers four tasty starter dishes and seven delicious mains – far more vegan options than you would find on most other restaurant menus. wagamama is particularly proud of their newly crafted Kare Burosu Ramen; vitamin-rich vegetables in a curried broth, accompanied by shichimi coated silken tofu and brought to life with a kick of chilli and a fresh coriander garnish. The spicy Yasai Samla Curry also features as a highlight, alongside our Yasai Steamed Gyoza and Itame rice noodle-based dish. 'Dublin has always had a very exciting multi-cultural food scene with new unique restaurants and menus popping up across the city,' said Rob Neilan, Development Head Chef wagamama Ireland.